Caffeine-sodium benzoate is a synthetic drug, derived on the basis of caffeine contained in tea leaves, coffee seeds and Kola nuts. It comes in tablet form and 20% solution in ampoules. What is the "hot shot"
Caffeine stimulates the Central nervous system, improves mental and physical performance, reduces fatigue and sleepiness, speeds up and increases heart rate. In addition, it has a vasodilator effect, increases blood pressure, increases urination and secretory activity of the digestive organs. Caffeine is indicated for use in diseases involving suppression of the Central nervous system and cardiovascular system, to improve physical and mental tone, struggle with bedwetting. To diseases of the first group are infectious disease, migraine, poisoning drugs, etc. Caffeine taken 2-3 times a day to 0.2 g. the Maximum single dose is 0.5 g daily – 1.5 g If necessary, the drug is administered by injection. 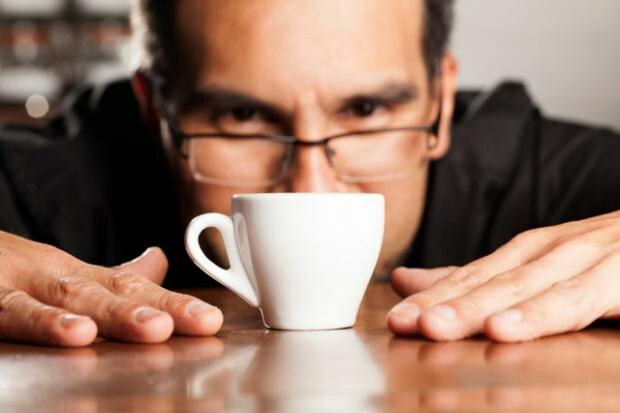 Application of caffeine sodium benzoate may be accompanied by insomnia, palpitations, tremor of the limbs, ringing in the ears, shortness of breath and vomiting. These side effects are rare. Caffeine is contraindicated in increased excitability, severe hypertension or atherosclerosis, insomnia. It should not be used in severe cardiovascular diseases, glaucoma and in the elderly (over 70 years). During pregnancy and lactation the drug may be used subject to the recommendations. Note that the systematic abuse of caffeine may develop drug dependence. To combat cellulite ampoules of caffeine used in masks and body wraps. Caffeine has a positive effect on the skin, moisturizing it, stimulating the breakdown of fat deposits, reducing pores, improving local blood flow and lymph flow. The drug also helps to increase muscle tone, improve firmness and elasticity of the skin. To get rid of cellulite, you need to use the vials of caffeine in combination with other active ingredients, for example menthol, comforel, rutin, seaweed. These creams and gels improve blood circulation, tissue metabolism, stimulate the flow of excess fluid and eventually promote weight loss. Ampoules caffeine sodium benzoate can be used for wraps. Applying to the skin of cosmetic products and body wrap creates a greenhouse effect which restores normal circulation in the skin cells, improves sweating, removes harmful trace elements. Before wrapping the skin should be clean, use the scrub of coffee grounds. Mix a teaspoon of any cream-base with 4 vials of caffeine and ointment "Capsicum". Apply on problem areas, wrap with cling film. Hold the film 3 hours, at this time do not eat or drink. To improve the efficiency procedure to do exercises or dance. The result will be visible after 10 sessions.